Life’s Just a Blast that’s Movin’ Really Fast. pop quiz: the lyric above is from what song and artist? clue: if you choose to accept the mission, how long can you dunk your biscuit? This time last year we were in Finland and enjoyed a week at Torassieppi and a week in Yllas. The food at Torassieppi was very good and they served up lots of traditional Lapland dishes. I have no idea whether this is their recipe, but it works for me and a gingerbread cookie tastes great with a cup of tea. 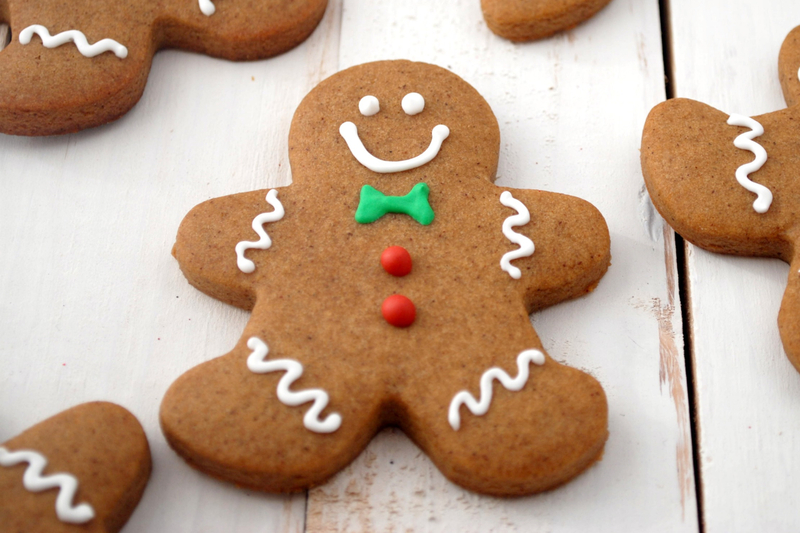 How to Make Gingerbread Cookies. Mix the golden syrup, brown sugar and spices in a pan and heat slowly until boiling. Note: use a mixture of golden syrup and treacle for a darker biscuit. Note: adjust the spice blend to suit your own taste. Put the butter in a large bowl and pour hot mixture over it. Beat until all the butter is melted. Allow the mixture to cool a little before adding the egg. Add flour and baking powder, beat well. Bring the mixture together in a ball, wrap and leave in the fridge overnight. Roll the mixture out on a floured surface. You are aiming for 3-5mm thick. Note: if the mixture is sticky, be generous with flouring your surface. Cut your gingerbread cookies to shape; hearts and stars are traditional, but there is always something satisfying about biting the head off a gingerbread man! Lay you cookies on a lightly greased or non-stick baking tray. Bake for 8 minutes at 200°C in a pre-heated oven. Note: remove from the oven just as the cookies are starting to colour. Leave on the tray for a few minutes to cool and start to crisp before transferring to a cooling rack. Decorate with piped water icing. pop trivia: ‘Limp Bizkit’ include the ‘Mission Impossible’ theme in their ‘Take a Look Around’, a single from 2000; also used on the soundtrack to ‘Mission Impossible 2’.